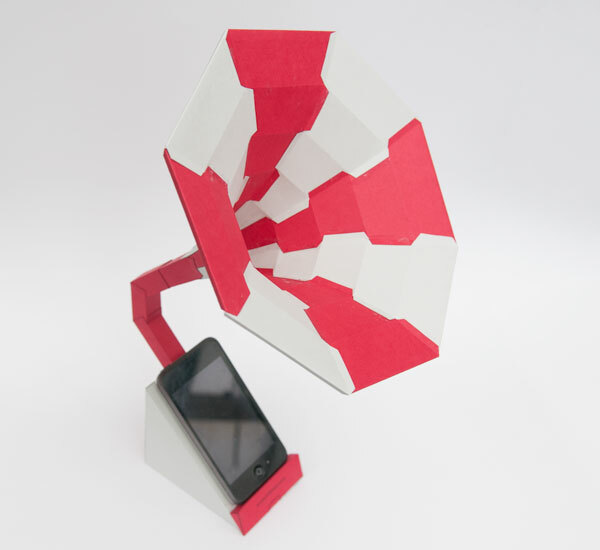 Download and make this Smart-Phone Passive Speaker for free! 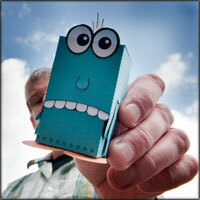 This project is also available on the Instructables website. There are two designs of base for this model. The base you choose depends on the type of phone you use. 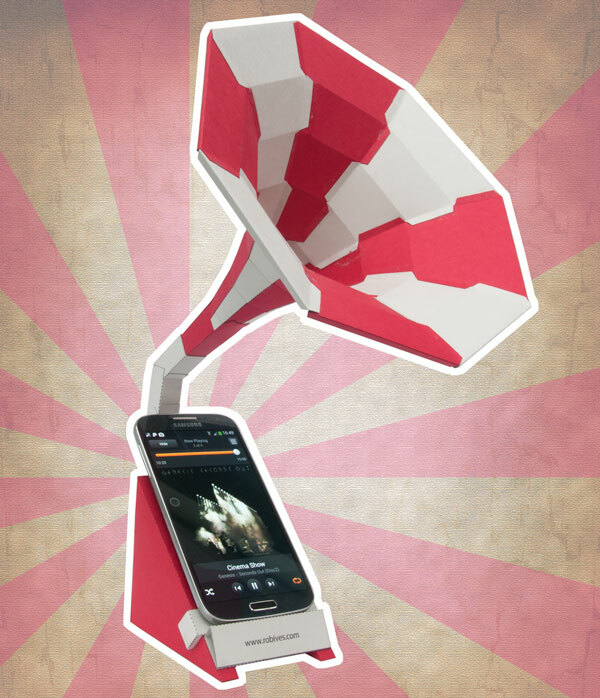 If your phone has a loudspeaker along its bottom edge use the iPhone base. If the loudspeaker is anywhere on the back of the phone use the Galaxy base. 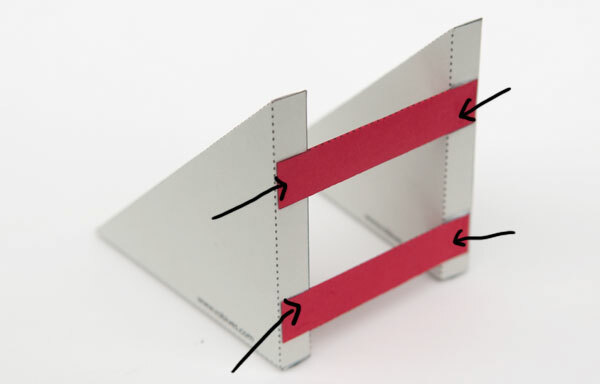 Print out the parts of the base that you are using onto thin coloured card. Any coloured photocopier card should be ideal. Choose two complementary colours of card. The horn is the same for both base designs. Print out the horn parts page twice on complementary colored card. 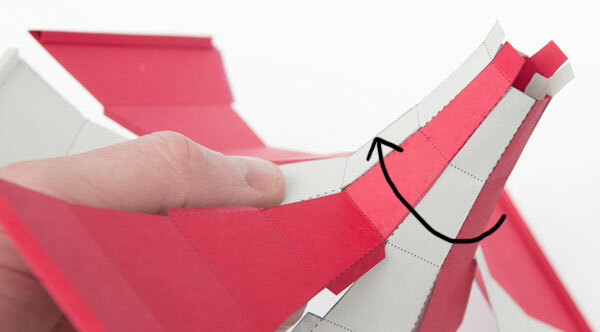 Score along the dotted and dashed lines then carefully cut out the parts. 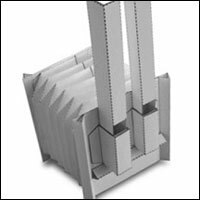 Fold over the end tabs to make a triangular section tube on each of the eight horn pieces. This gives strength and rigidity to the open end of the horn. Pair up the horn pieces and glue together the first tab as shown. Match pieces together so that you have two pairs with extra tabs and two pairs without. 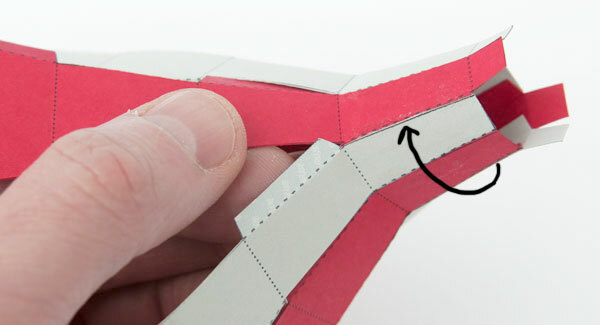 Glue the pieces together by the first tab in this alternating pattern. Roll round and glue down the remaining first tab to make a tube. 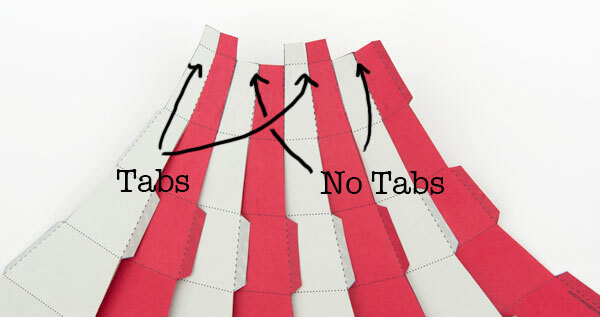 Work your way round the second row of tabs gluing them down as accurately as possible. Work your way to the end of the horn gluing one row of tabs at a time taking care to keep everything lined up accurately. Glue the horn end into place. Set the horn to one side and start work on the base. This base, has specific markings for the Galaxy S2, S3 and S4 but is easily adaptable for all phones where the speaker is on the back face of the phone. Glue together the two sides as shown. Assemble the square section cross piece. 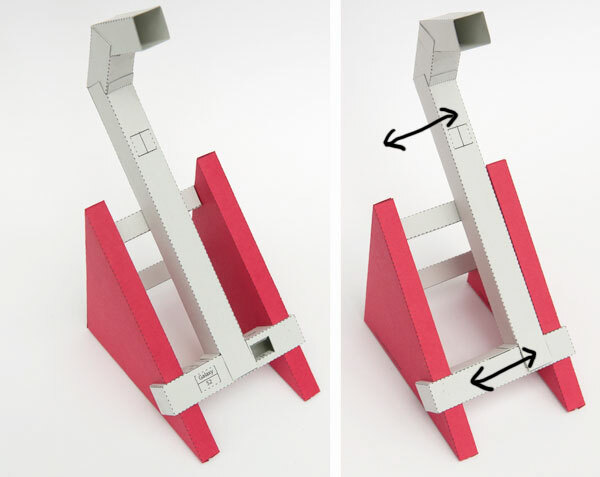 Assemble the two back supports and the phone stand. Glue together the long horn tube as shown. Fold the two end sections in and glue them down being sure to keep everything lined up and not twisted. Glue the two back pieces to the grey glue areas on the stand sides. Press the horizontal square tube into the slots on the side pieces. There is no need to glue it, friction will hold it into place and being able to lift it in and out is handy when you are cutting holes in the tube. The base is designed to be usable with a wide range of phones. If your phone has a speaker towards the bottom edge of the phone back like the Galaxy S2 and S4 then cut out the hole in the top centre of the horizontal square tube. Line up the long horn tube with that hole and glue it down (Left picture). 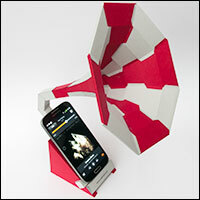 You can then cut a hole in the horizontal tube which matches the position of the speaker phone. If your phone has a speaker anywhere else on the phone back then there is no need to cut into the horizontal tube at all. Position the long horn tube side to side on the stand so that it crosses the position of the phone’s loudspeaker and glue it into position (right-hand picture.) Cut a hole in the long horn tube so that is lines up with the phone’s speaker. Glue the phone stand piece into place. Fit the horn to the stand. 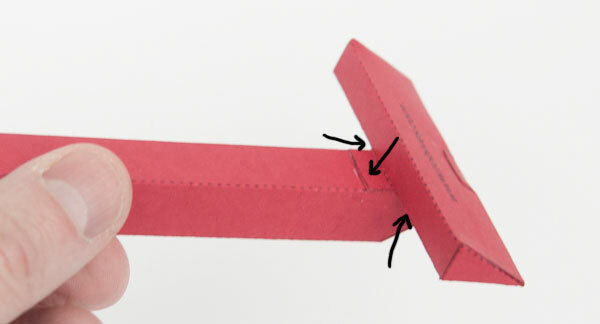 It is a taper fit so there is no need to glue it. Being able to take it apart is handy for storage. This model is set up a Samsung Galaxy S4. 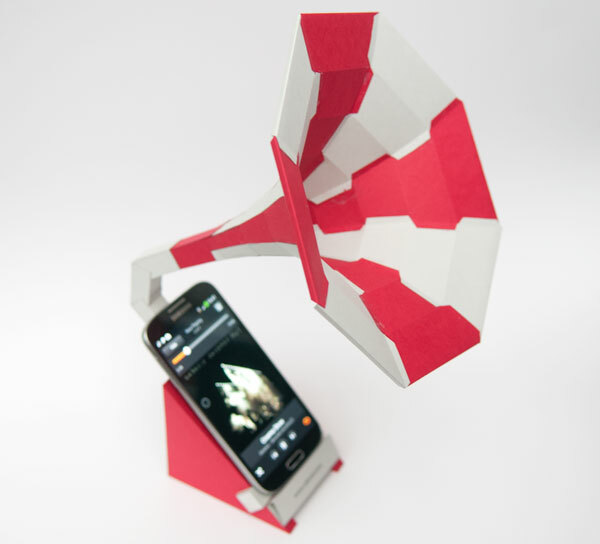 Not just for iPhones, this base will work for all phones where the loudspeaker is along the bottom edge of the phone. 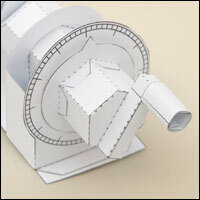 Fold up and glue the long horn tube as shown. 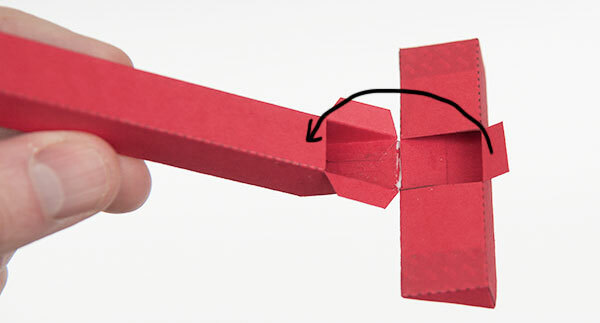 Fold the two end sections into place and glue them down. 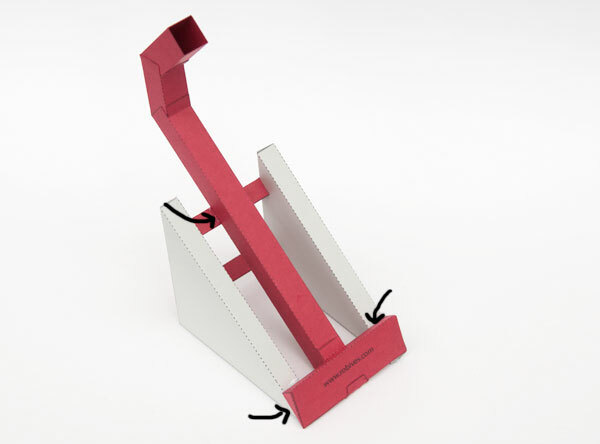 Assemble the phone stand piece as shown. 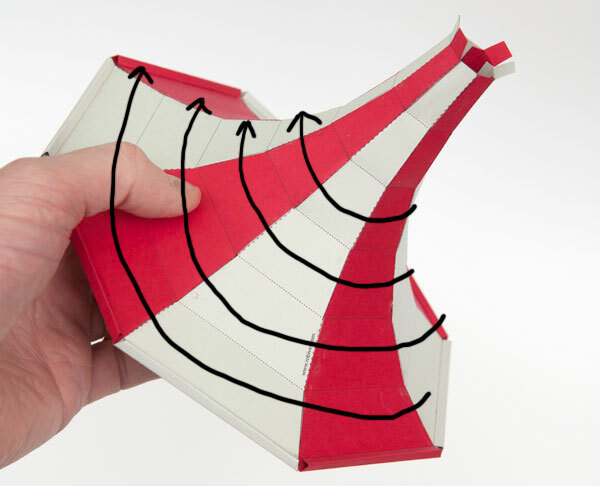 …then fold it over and glue it down as shown. 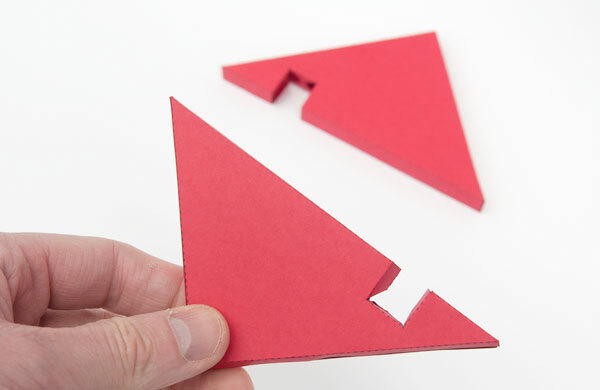 Assemble the two triangular section cross pieces. Glue the cross pieces to the grey areas on the back of the side pieces. Glue the long horn piece into place gluing it to the two side pieces and the top cross piece. 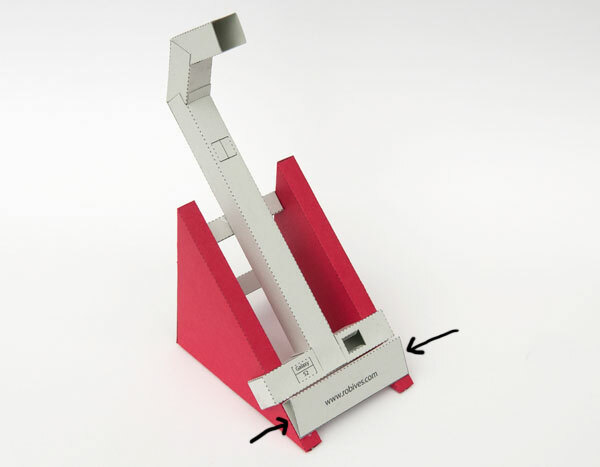 Position your phone on the stand and mark where the speaker meets the stand. 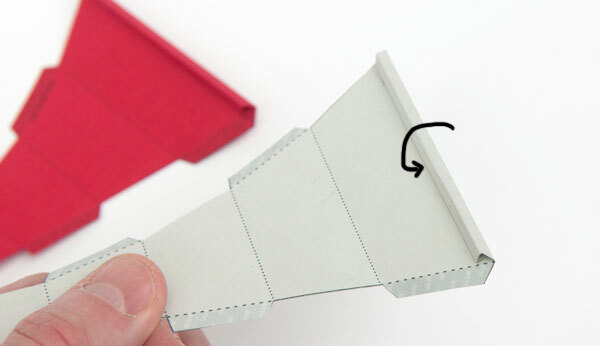 Carefully cut out a hole in the triangular stand piece with a sharp knife. Fit the horn to the stand. 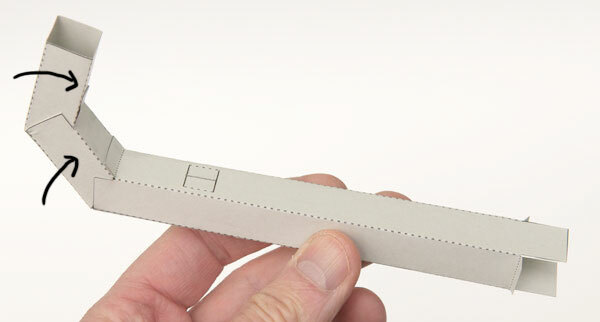 It is a taper fit so there is no need to glue it. Being able to take it apart is handy for storage. 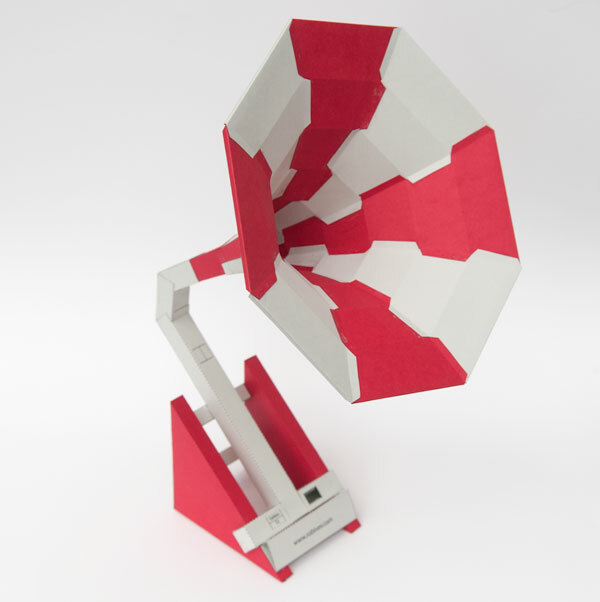 Position your phone on the Passive Speaker and crank up the volume! Fantastic design Rob, and also a beauty for the eyes! 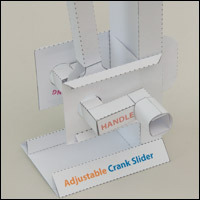 where can I find the Passive speakears part to print? Select “Add to Cart” at the top of the page.